Every week of this outdoor Mister Sunday season, the party begins with the airing of an entire album. This week our special guest, JD Twitch, a Glasgow resident who is one of our favorite DJs in the world, selects. 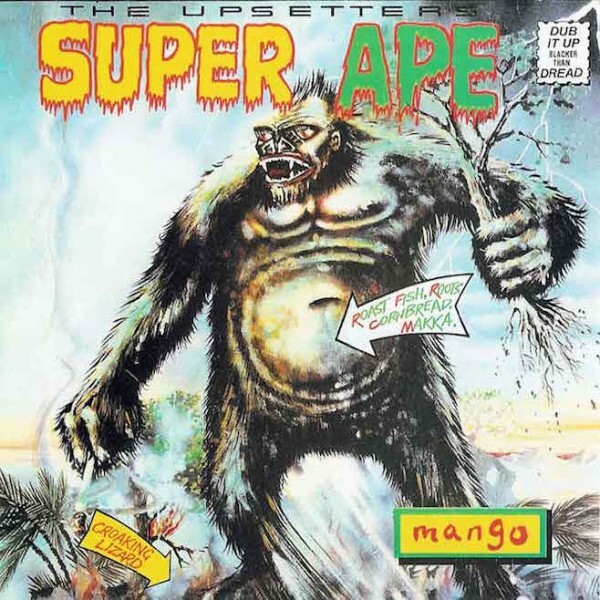 He’s chosen Super Ape by The Upsetters. This is what he has to say about it. At the first hint of summer, one of the records I most want to hear is Super Ape by The Upsetters, the 1976 Lee “Scratch” Perry album recorded at the height of his powers. This summer in Scotland summer pretty much went awol, but I’m optimistic I’ll get to experience a bit of a late summer in New York, so I chose this perennial favourite of mine. While the entire album is bathed in a murky dread, there is an inherent golden warmth to it. Familiar rhythms are revisited and reworked with chanting vocals, distant melodicas and mystical flutes rising up in the mix. It is a gentle ride that leaves me feeling as if I am wrapped in cotton wool. It also holds off on giving away all its joys too soon with side two in particular being just about a perfect side of music. I’ve never heard this played on a proper sound system so am very much looking forward to spending forty minutes basking in its sonic rays of light.